For all that light jets have promised, the reality of buying and flying one can be somewhere between frustrating and downright vexing, especially for those who are just now arriving on the scene. And which of the new personal jet companies are you betting will even be around next year? Even if you’re ready to roll those dice, your choices for acquiring a light jet now include securing a delivery position that will seemingly be exercised by your grandchildren, or else, tossing a serious mordida to someone willing to sell you an acquisition date you can put on next year’s calendar. That’s why Texas-based Sierra Industries Ltd. is loving the aviation business. The new Cessna model T240 Corvalis TTX is now touring the United States prior to deliveries scheduled for 2013. This is the latest refinement of the carbon fiber and fiberglass airframe Cessna purchased to enter the high performance single engine market. The “TT” stands for twin turbo with an intercooler feeding a 310 hp Continental Motors TSIO-550-C engine. The “X,” well, maybe it stands for a little extra—such as the all-new Garmin G2000 panel that takes the user interface to a new level. Kirby Ortega, my Cessna host and chief pilot for piston operations at Cessna Aircraft Co., provided me with a walkaround of the Corvalis TTX. My first impression was that the TTX is a “go fast” aircraft—the small frontal area and raked windscreen are hard to miss. Starting at the nose of the TTX, the bug-eye cooling air inlets optimize cooling air through-put and minimize drag. The prop has heated pads at the blade base for de-icing. Moving to the left wing leading edge, I could see the shiny TKS de-icing leading edges (so-called “weeping wings”). There is no windshield heat, so this de-ice system is not certified for known icing; it is only useful to get out of unexpected icing encounters. Flight into known icing (FIKI) is slated for future models and will include a TKS for the windshield. The horizontal stab TKS panel will be fully recessed that will increase cruise speed slightly. The drooped leading edge in front of the ailerons modifies the chord to reduce the angle of attack in relation to the inboard wing section’s angle of attack. This ensures that the inboard wing section will stall first. The drooped leading edges—in conjunction with the rudder limiter and features incorporated into the elevator—provide docile low-speed handling characteristics with full aileron authority. Recessed electric spoilers are located on the center rear of each wing and deploy on command to slow down this low-drag airframe. Low-drag wheel pants help you go fast, but are brutal on brake cooling. Differential brake steering adds to the need for additional cooling. The aft-facing hole near the top of the wheel pant draws air over the brakes and exits the wheel pant through this opening. I stepped up on the wing and entered the cockpit through one of the gull-wing doors—similar to what you find in an upscale sport car. Once you close the doors (held up by a gas cylinder) and activate the pressurized door seal, the cabin is whisper-quiet. When you slip into the TTX’s cockpit, the seat folds around you like a glove. Buckle up the three-point shoulder and seat belt, and you are truly part the airplane. With side-stick controllers, you’ll have a full view of the G2000 panels. Engine start is straightforward, and then you follow the checklist to bring the aircraft systems to life. Gradual power adjustments are easy with the vernier throttle to taxi out of the chocks. Differential braking is a change from what I’m used to, and it takes some time to adapt and get the feel for how much to brake is required to initiate a turn combined with rudder movement to assist this maneuver. The flaps have three positions: up, takeoff, and landing. Set the flaps for takeoff, line up on the centerline and smoothly apply power to the 310 hp turbocharged Continental engine and down the runway you go. Differential rudder keeps you tracking until you reach liftoff speed—and then you are flying. Raise the flaps and continue your climb. Fingertips can control the TTX nicely. The side-stick controller is finger-light, particularly in roll. The stick has electric pitch control, but no yaw trim. The aircraft uses a rudder hold control that acts like a rudder trim. Change power settings or airspeeds, then disengage and re-engage the rudder hold control. The system works fine. Cessna calls the Garmin G2000 system the heart of its “Intrinzic” cockpit, which is centered on two 14.1-inch high definition LED monitors serving as PFD and MFD. In the center console is the touch screen controller, which will do all but a few commands you need without touching a button or knob. As Ortega explained to me, “Touch the Home icon on the controller, then touch what you want to do.” It really is that easy. During our flight I don’t believe I made any changes to frequencies or pulling up data except using the very intuitive touch screen controller. This touch screen architecture follows the same logic as the Garmin GTN 750 and other new Garmin hardware and software (Garmin Pilot) offerings. Flying at 8,500 feet, Ortega demonstrated the two power settings. Setting power at rich of peak showed 195 knots TAS burning 20 gph. Leaning to lean of peak indicted 184 knots TAS burning 15 gph. These numbers are close to what you will see in the checklist power settings. While the TTX is certified to FL 250 with 235 knots TAS, most pilots will typically fly between 12,000 to 18,000 feet. The flight manual shows 207 knots TAS at 12,000 feet. At these altitudes, if you have oxygen problems you have more time to recognize the situation and less altitude to lose in descending. Located in the lower left side of the panel is a CO monitor and pulse oximeter. When you register a low oxygen level on the monitor, descend to a lower altitude. The MFD can display in single view or in a split-screen mode. On approaches, the plan navigation display gives you the big picture and the georeferenced approach plate plus the GFC 700 autopilot make approaches hassle-free. Landing takes preplanning in order to slow down to approach speeds. The speed brakes are there to back you up in case you need to slow down faster. Lower flaps to the landing position and then fly the visual approach, being careful to not over-control the sensitive control stick. After landing, the SafeTaxi airport diagram shows you exactly where you are on the airport and gives you an easy to interpret method to follow the ground controller’s instructions. After our flight, I got out of the aircraft and didn’t realize that I had been in a cockpit for an hour and a half. That is the sign of a truly comfortable cockpit seat! Any aircraft in the TTX class needs redundancy to travel long distances at high altitudes and speed in all types of weather. The TTX is an all-electric aircraft making redundant 70 amp alternators a smart design decision for safety of flight. Either alternator can handle the entire electrical load with no load shedding required to continue the flight. One alternator is gear-driven from the front of the engine and the second unit is belt-driven on the rear of the engine. These alternators feed a split bus that is cross-tied in case of an alternator failure. The Garmin G2000 has the same displays and controller hardware announced for the Citation M2 (Garmin G3000) and Citation Ten (Garmin G5000). Programming for the G3000 and G5000 will be slightly different to accommodate the different aircraft system requirements, but the basic hardware and architecture is the same. Again, the TTX has two of everything that is necessary for safety of flight—and one of everything else you’ve ever dreamed of for a high performance single engine aircraft. If either the PFD or MFD fails, you can create a composite display on the remaining active display. Dual WAAS GPS Nav/Coms, VOR receivers, AHRS and magnetometers are standard. All of these systems use solid-state electronics, which have exceptionally long mean time between failure (MTBF) statistics. Other redundant systems include dual TKS fuselage pumps, where the pumps alternate to prevent latent failure with one able to provide the necessary TKS flow. The dual turbocharger intercoolers are connected to balance flow between the two units. While one turbocharger is not sized to maintain the total boost needed throughout the flight envelope, the one operating turbocharger will maintain boost in a reduced operating envelope. Cessna has not quantified this reduced performance envelope since numerous failure modes will impact engine performance in unique ways. It is comforting to know that there are two of these essential flight safety items on board to help you land safely under virtually all of the most serious scenarios. Traffic and weather units are standard. A GTX 33ES Mode S Extended Squitter transponder coupled with the GTS 800 Traffic Advisory System provide today’s TCAS advisories along with ADS-B Out and In capabilities. NEXRAD by Sirius XM satellite weather (plus Sirius XM satellite radio) comes via the GDL 69A satellite data link receiver. Garmin’s Synthetic Vision Technology (SVT) uses GPS location information combined with a terrain database to depict a three-dimensional view of terrain and water (including obstacles). This synthetic view combines with traffic inputs to provide a 3D perspective of the surrounding traffic in the area. SVT provides additional situational awareness, regardless of weather conditions surrounding the aircraft. The Corvalis TTX’s Electronic Stability Protection (ESP) coupled with the GFC 700 autopilot monitors pitch and roll parameters plus stall onset, steep spirals and overspeed conditions. Monitoring all these and other loss-of-control conditions may assist the pilot in recovery from most situations outside the aircraft flight envelope. The Corvalis structure has a rollover cage that provides for occupants’ safety. The wings contain dual spars certified to a significantly higher wing loading than what is required for the aircraft’s Utility Category certification. The dual wing spars provide rupture protection for the fuel cells (the cells are located between the spars). Finally, using liberal carbon fiber composite construction throughout the airframe can provide up to three times more strength for a given material weight than traditional materials. How does the Corvalis TTX stack up against the competition? • Speed: Fastest in its class. 235 knots at FL 250; 195 knots at 8,000 feet. • Ceiling: Certified to FL 250. Higher ceiling than any other high performance piston single engine aircraft. • Avionics Technology: First to offer Garmin’s G2000 avionics system. Cessna calls it the Intrinzic cockpit. • Aerodynamics: Certified in the Utility Category with docile stall characteristics. For a $650,000 price tag, an owner should expect to receive a world-class aircraft. Cessna’s entry into the high performance single engine market with the Corvalis TTX is a most worthy product. I was impressed with how the TTX flew, as well as the company’s attention to the multitude of standard redundant systems installed in this aircraft. Charles Lloyd has logged 10,000 hours since his first flying lesson in 1954. He worked for Cessna Aircraft for 16 years. Lloyd retired as captain of a Citation Encore Plus for a major fractional aircraft ownership company. He flies a tricked-out 1966 Cessna 182—also known as Bill—that is a great business tool for his real estate investment company. Send questions or comments to . 1 45 minute fuel reserves, 45 percent power at 25,000 feet. 2 Distance to 50 feet above the runway. 1 Empty weight does not include a pilot. Actual empty weight can vary based on installed options. 2 From front bulkhead to rear bulkhead. 3 Price represents 2012 U.S. dollars. When two different metals are near each other and are bathed in an electrolyte, electrolysis occurs. (That’s how a battery works.) Electrons transfer from one metal to the other. That’s corrosion. Even aluminum skin and aluminum rivets are different alloys; unprotected metals at the places they meet, wetted by an electrolyte, will result in corrosion. 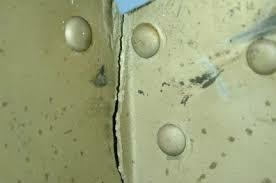 Remove a skin from a 30-some-year-old airframe and you will likely find a circle of oxidation around each rivet hole. Calling an airframe a “battery” may seem like a stretch, but it’s true that all metal-to-metal points can act as tiny batteries, destroying an airframe ion by ion. Just expose these points to moisture or other electrolytic elements, and the action begins. What can we do? There are two basic defenses against corrosion, and we need both. Manufacturers use primers and sealants (paint) as a corrosion inhibitor, and undamaged paint is the first line of defense. With use, however, paint breaks down. Exposure, vibration, turbulence and other normal activities attack it. Hairline cracks appear around stress points like rivets and faying surfaces. Chips result from FOD, sand, stones; bug and bird strikes can compromise the finish. Bird droppings, tree sap, bug juice—even sweat—can all eat away at paint. Owners and maintainers must also systematically use a remedial product to displace moisture and leave a protective film that prevents attacks from abusive elements found in the atmosphere. This is the second line of defense. Relief from the elements is a hangar’s job. When the aircraft is outside or in service, we protect the painted surfaces with frequent washing using noncorrosive cleaners and waxes. It’s a start, but it’s not sufficient. We need to keep electrolytes from reaching metal. A protective exterior coating (wax, or proprietary products like RejeX, from Corrosion Technologies) can seal against some electrolytic elements, or at least make them easier to remove. The most common electrolyte is moisture, contaminated by airborne by-products of combustion produced from diesel/turbine exhausts. Other moisture comes from the lav, passengers’ drinks, and unseen condensation. Exhaust fumes—from tugs, other airplanes, trucks and traffic—introduce corrosive chemicals to common water, and what started life as dew or condensation becomes an aggressive electrolyte (and often, a metal-eating acid in its own right). There is no permanent cure for corrosion, and it can’t be prevented without constant attention. When it gets to the point of exfoliation, we must replace the structure, but corrosion can be interrupted indefinitely, even after it has a toehold, by the application of remedial and preventive chemical treatments. One coating used for years is LPS 3, essentially a wax dissolved in solvent. When this rust inhibitor is sprayed inside an airframe, the solvent allows it to spread. Then it evaporates, leaving a barrier coat of wax on the surfaces. Its disadvantages include adding weight to the airframe and making inspections difficult (concealing flaws and collecting dirt). It is hard to remove, requiring a lot of solvent and a pressure sprayer—and atomized solvents in an enclosed structure can be dangerous. LPS 3 and other similar coatings have another serious disadvantage: they don’t stop the expansion of existing corrosion. In fact, they can lock the electrolytes inside the coating, allowing it to continue. Several years ago during a photo shoot, I noticed some dirty seams and rivet lines on an otherwise pristine pair of amphibious floats that I was featuring in an article. I asked the owner why the seams were dirty. He said, “I sprayed the inside a couple months ago with CorrosionX, and it’s still working its way out—but I’d rather have a little dirt than a little corrosion, any day.” It wiped off cleanly, and I continued the photo shoot. Some of the things we do that we think are helping really aren’t. Oil, for instance,­­ is not a good moisture barrier. We all know that oil floats, yet we persist in thinking that it won’t float off shiny surfaces when they’re exposed to water. It will. I also have to mention every person’s solution to nearly every problem: WD-40 has its uses, particularly as a water displacer, adhesive remover, and as a cleaner for small parts, but it is of little value as a preventive for corrosion. Its extremely high solvent content (76 percent) also makes it a fire hazard in enclosed areas—but it can come in handy as a starting fluid for tugs and other equipment. Review the label warnings. The salespeople for both ACF-50 and CorrosionX know their products—and their competitions’ products. One last consideration: packaging. Both CorrosionX and ACF-50 are available in aerosols or as bulk liquids for pump sprayers. With the pumps, you get more product (roughly 20 percent of the content in any aerosol is propellant), but you tend to waste more product getting it to atomize and cover surfaces. The biggest disadvantage to aerosols is in shipping: airlines won’t carry them. Arriving at your favorite anti-corrosion treatment may take a little research and experimentation, but it’s better to apply one right away (and then do the research) than to debate and corrode! Tim Kern, CAM, MBA, has authored features in over 40 aviation publications. He writes technical, publicity and expository pieces for several companies in the aviation industry. Kern is a private pilot with a seaplane rating, and is listed as the manufacturer (“with a lot of help!”) of an experimental aircraft. Send questions or comments to . Today’s batteries are similar in design to the first voltaic cells of two centuries ago, in that they exploit the chemical reactions that result between dissimilar metals when encouraged by an electrolyte. Each particular pack of metals can generate a given “pressure” of electricity, or voltage; the size of the pack largely determines the “volume” of electricity, or current (amperage), available at that voltage over a given time. Packing several cells into one case can increase voltage, amperage, or both. Current aviation battery sizes translated directly from other disciplines. The -25 and -35 size batteries, for instance, were based on the 25 and 35 ampere-hour sized light-equipment batteries of the 1940s. (These sizes are still common in lawn tractors today.) They produced sufficient electricity for many airplanes, and they were small enough, so designers used these off-the-shelf components. As technology evolved inside, the case sizes endured. Other sizes were added as designers’ needs dictated. Dry-charged batteries keep many years in their original, as-shipped condition. 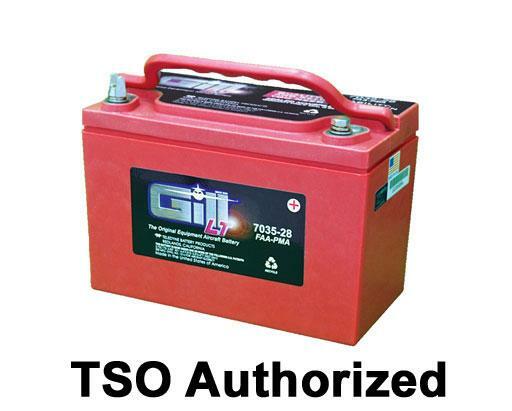 Opening the seals on these shortens life; and filling them with electrolyte (only up to the lower indicator; then follow the manufacturer’s specific directions) begins a battery’s service life. Battery life is degraded by remaining in a constantly partially-discharged state or by undercharging; by constant ambient temperatures below freezing or above 100 degrees F; or by overcharging, or by fast-charging in extremely low temperatures. When removing a battery, disconnect the grounded side first; when installing, connect the ground last. This minimizes the opportunity for shorting the battery to the airframe or components through your tool. For that same reason, and to minimize stress on the battery’s connectors, address the battery’s hold-downs after disconnecting, and before re-connecting the cables. Ensure that the hold-downs are secure, but remember that “too tight” does not add to security, and can cause annoying or even catastrophic problems. Because batteries can boil or overflow, and because they create hydrogen during charging, it is wise to charge batteries outside the aircraft. Overfilling a battery (even with deionized distilled water) dilutes the electrolyte, dropping the capacity and making the battery more susceptible to freezing. The good news is that, if you overfill with distilled water, the problem will eventually cure itself—if you do not tax the battery too much in the meantime. (To prevent this, add water after charging rather than before, unless the plates are exposed.) However, you can kill a battery fast if you charge it while the plates are not fully submerged; the exposed plates will oxidize, and that portion of the battery’s capacity will be forever lost. When filling or topping off a battery, don’t spill any fluid—and remember that distilled water that washes dust and dirt into the cells when you’re filling them is a good conductor, and will drain the battery’s charge. Reinstall the battery only when it is clean and dry. As a general rule, refill with only distilled water. Don’t add electrolyte unless you’ve spilled electrolyte from the battery. When the battery is cold, it does not produce as much power as when it is warm; and it doesn’t make as much power when it is hot as when it is warm. Charging, too, is most effective when the battery’s temperature is above freezing (and below about 100 degrees F). When charging a battery, voltage is more critical than amperage. A battery will draw only as many amps as it needs, but too much voltage will ruin the battery. Your charger should never exceed 2.35 volts/cell (14.1 volts for a 12-volt battery; 28.2 for a 24-volt). Below-zero or 100-plus degrees F ambient temperatures may require some special considerations, and the manufacturer is the best source of that information. Some certified installations employ a battery “sump” between the battery and the outside vent to neutralize the gases and any liquid that may be expelled. The chemicals in the sump (usually, sodium bicarbonate) can become saturated and insipid. They’re cheap; replacement can never be too frequent, and your aircraft’s finish will thank you. Many aircraft systems become plugged, misrouted, damaged or saturated. All these conditions will enhance corrosion; some degrade the battery life, and some are dangerous. Confined gases (such as the hydrogen produced during charging) can explode if exposed to sparks. It is not unheard of for a battery to explode when the starter is engaged: gases concentrate in the still air and the motor, a relay, or a loose connection provides the spark. Similarly, if the battery’s vent system is inop in flight, gases will accumulate near the battery, and a loose cable connection may provide the spark. Myth 1: Batteries must never be placed on concrete, or their charge will be drawn out. That’s bunk. How could concrete draw a charge, when a metal battery box can’t? The myth probably originated when concrete dust was splashed on a battery in a rainstorm, either getting inside and diluting the electrolyte or shorting across the terminals in moisture on the outside. Batteries stored at factories and warehouses are still kept on wood pallets, but not because of any concrete allergies. They’re just easier to move when they are on pallets. Myth 2: Batteries like to be discharged all the way before they are recharged. Not so. Discharging places stress on batteries, and removal of that stress (through recharging) lengthens the batteries’ lives. Common Mistake 1: Over-tightening the contacts ruins lots of batteries. Electrons flow better through a snug contact than through one that’s partially broken. Further, a compromised battery post can work loose in flight, causing trouble—including fire. 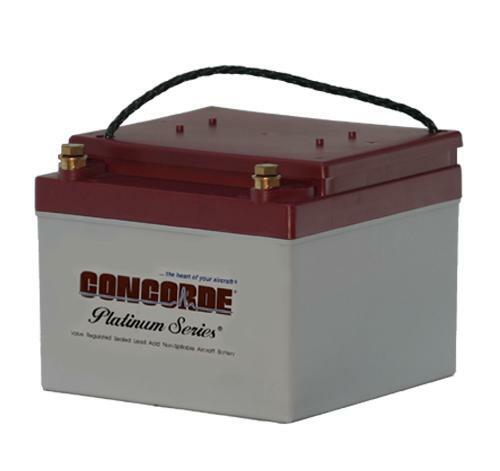 Common Mistake 2: Topping off with tap water or electrolyte alters the chemistry of the battery. Tap water’s contaminants short the battery internally, and electrolyte changes the optimal pH of the mix, reducing voltage. Use deionized distilled water only, and clean the area around the caps before you remove them, so pollutants do not fall into the case. Batteries should first be inspected at 600 hours or 12 months; after that initial inspection, the interval is halved. 100-hour inspection procedures also, of course, apply. Always clean and dry a battery before reinstalling it. When reinstalling, clean and dry the aircraft’s connections, too—and don’t forget to inspect the grounded end of the cable or strap. When you see dark (brown or black) electrolyte, that’s a sign of a battery that’s nearing the end of its natural life. Put it out of its misery now, and it won’t fail you later. Green or white “fur” around the terminals can be brushed and rinsed off using a solution of sodium bicarbonate, with the battery out of the airframe (to avoid shorting with the wire brush, or contaminating the battery compartment or sump). Don’t let any of the solution get into the battery! …And good practice with anything that contains lead (not to mention acid): always wear gloves when working around a battery, rinse your tools and wash your hands immediately after handling batteries, cable ends and posts. Tim Kern, CAM, MBA, has authored features in over 40 aviation publications. He writes technical, publicity and expository pieces for several companies in the aviation industry, and gives his thanks to the folks at Concorde and Gill for their help in the preparation and proofing of this article. Kern is a private pilot with a seaplane rating, and is listed as the manufacturer (“with a lot of help!”) of an experimental aircraft. Send questions or comments to . Most buyers do give the prop a good visual inspection, at least from the spinner outward. That’s important, and it can reveal nicks and perhaps some cracks or a bad paint job. What else is there to consider? The answer depends on the prop’s construction. Is it wood, metal, or composite? Fixed, variable-pitch, or ground adjustable? Generally speaking, fixed pitch is the easiest propeller to inspect. It is one piece; there are no moving parts. Variable pitch propellers are more complex. With so many moving parts, there are many more things that can present themselves as problems. In short terms, the simpler and newer the prop, the less we should expect to be troublesome. The converse is true, too. The older or more complex the prop, the closer the look we should give it. Military flight training prepares students to move into high performance aircraft that have many fascinating flight characteristics. But where can General Aviation pilots experience military flying? During my visit to Nu-Tek Aircraft Instruments, Steve Cannaby showed me the shop that contains his fascinating second business, Nu-Tek Simulations. It’s where retired military simulators are brought back to life and then transported to airshows all over the country. John Evans, an old friend and C-414 owner, is a former flight surgeon and speaks fondly of his days in the Air Force tending to his pilot patients and getting his share of stick time in a Phantom. What better surprise than to take John and his son-in-law Aaron Hunt out to Nu-Tek for stick time in an USAF F-4 simulator? The controls are all there, connected to a PC-based computer program that manages aircraft controls, power and visuals. Take the active runway at St. Louis Lambert Field and move the power levers forward, and the visual display in front of you starts moving faster and faster. Increase the stick back pressure and the Phantom is airborne. It all started innocently enough. Dr. Tim Smith and his wife bought a Cessna 152 for their own flight training. During his quest for a private pilot certificate, Tim ate, drank and slept aviation, so it was no surprise when he taught his Frankfort, Ky. high school math students how to model linear algebra using a flying airplane. Wow. This aviation schtuff is kinda cool, they thought. At the end of those first nine weeks, Smith’s students did not want to stop, so he enrolled them in an online aviation program called AeroScholars. More students from the high school began to migrate toward an ad hoc aviation program, and before Smith knew it, he had 20 students wanting to learn all they could about flying. In the seventh aviation novel by Tom Block, an airline company whose owners shield a hidden agenda, an airliner with some fancy technical upgrades and a cast of characters with secrets, troubled pasts and crossed purposes come together for what is supposed to be a routine flight from Rome to New York. Capt. Jack Schofield, First Officer Peter Fenton and Second Officer Linda Erickson are in the cockpit of a Consolidated 768—the Consolidated 768 is a Boeing 767 modified by Trans-Continental airlines with advanced electronics and other airframe alterations—preparing Flight 3 for departure from Rome. Checklists are being followed, flight plans readied, but all is not sunshine and roses on the flight deck.